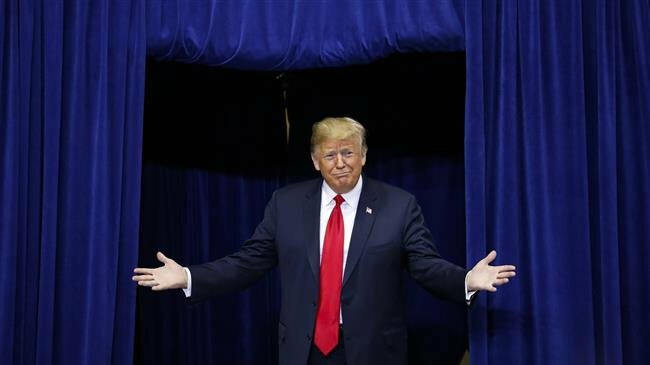 US President Donald Trump insists his Republican Party has won the 2018 midterm congressional elections despite losing the House of Representatives to Democrats, threatening the opposition party against using their newly found power in the lower chamber of Congress to hinder his political agenda. The Republican head of state took to Twitter on Tuesday to take credit for his party’s success in widening their narrow majority in the Senate by winning more seats in midterms. Trump wrote only the “fake news” would refuse to “give us proper credit for this great Midterm Election.” Trump then went after Democrats, advising them against launching House level investigations into his administration like some party members have suggested. The president has already been accused by Democrats of obstruction of justice in the ongoing investigation into his alleged ties with Russia which is led by Justice Department’s Special Counsel Robert Mueller. Trump took a jab at the probe in his post-election Twitter rant, calling it a “witch hunt.” Keeping control of the Senate was the highlight of the night for Republicans as they lost ground in pretty much every other aspect of the midterms. In addition to losing the House, they were also projected to lose seven gubernatorial races to Democrats as well. Overall, however, it seems like Trump managed to do well enough in what shaped up as the first chance for many Americans to pass judgment about his presidency.